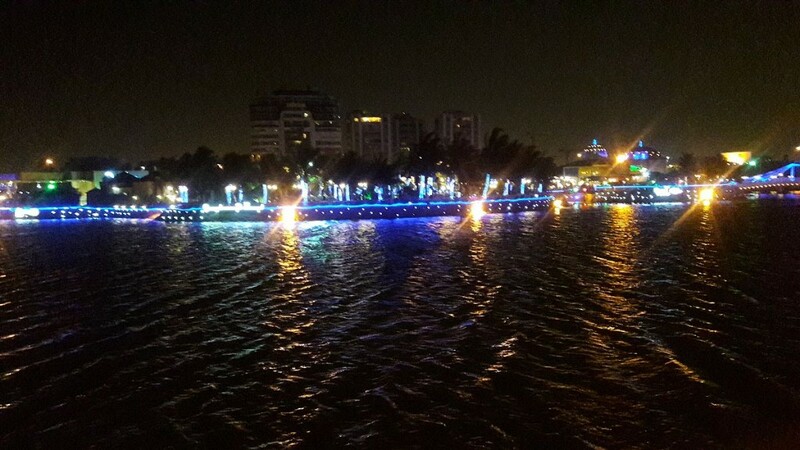 The Jeddah Corniche is the 30 km coastal resort area of the city of Jeddah. Located along the Red Sea, the corniche features a coastal road, recreation areas, pavilions and large-scale civic sculptures — as well as King Fahd's Fountain, the highest fountain in the world. Also located here is the Al-Rahmah Mosque (formerly known as the Fatimah Mosque), which is a popular attraction to visitors. Currently undergoing renovation, the Corniche will be renewed, expanded, and upgraded with restaurants, play areas, and entertainment. The entire renovation phase should be completed around early 2014. The renovations will include a Ferris wheel similar to the London Eye. 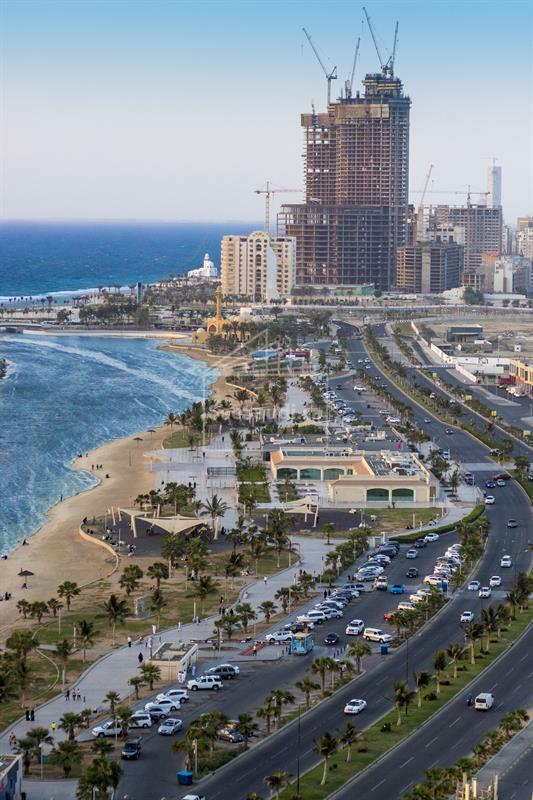 The Jeddah Corniche derives its name from the originally French and Italian term for a coastal road, especially a road along the face of a cliff but it is more often used as a place near water now.